Species name meaning 'from Cochinchina', referring to Indochina. Cratoxylum polyanthum var. genuinum Korth. Cratoxylum polyanthum var. macrocarpum Boerl. Shrub to tree with some spines at base of stem, brown-red watery sap. Stipules absent, but line between leaf-pairs visible. Young twigs usually with spines. Leaves opposite, deciduous, venation pinnate, but nor forming an intra-marginal vein, lower surface usually withish. Inflorescence with few flowers only (up to five). Flowers orange, pink or dark red, petals without nectary glands. Seeds unilaterally winged. In primary or secondary forest, open woodland, grassland and river banks on usually well-drained soils of various types, 0-500 m (to 1200 m in China). Burma, southern China, Hongkong, Hainan, Indo-China, Thailand, Sumatra, Peninsular Malaysia, Borneo, Philippines (Palawan). Bark can be used as brown coloured dye, wood is very hard and durable. The young shoots are edible and used as a raw vegetable. The young fruit is used as a spice for cooking. The roots, bark, and twigs are used as a medicine for colds and diarrhea. The young leaves are used a substitute for tea. Borneo: mampat, maradjalang, mulun (W. Borneo), baduk-baduk, geronggang, mogizon, pelawan-pelawan (Brunei), selangan-biabas, taikakan (Selangan Is.). 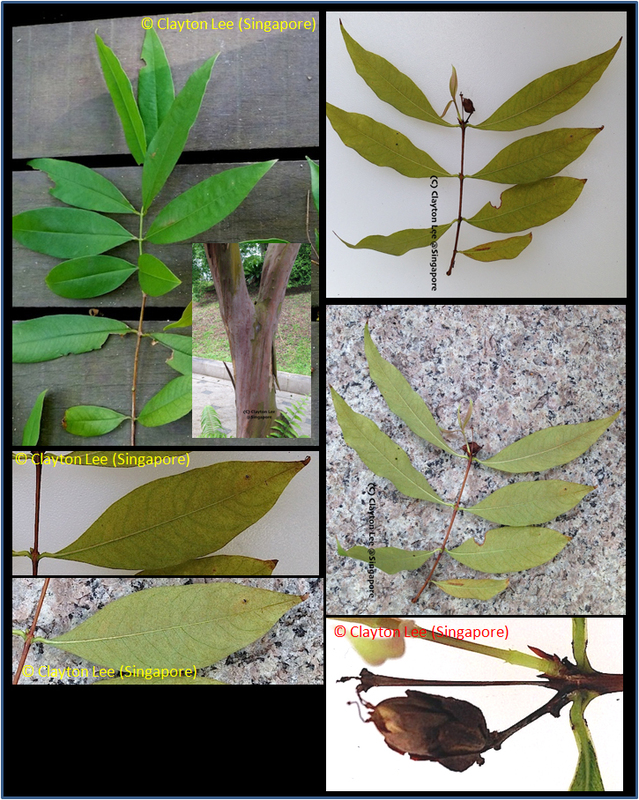 Malaysia: derum selunchor, selunchus (Perak), kaju arang, kemuntong, pelawan (Kelantan), belawan padang, kelochus (Pahang), beluchus (Negri Sembilan), serapat. Sumatra: mulu (Lampong), kaju lulus, lelulus (Palembang), tnengidjang (Barika).